Just an update on the robins. 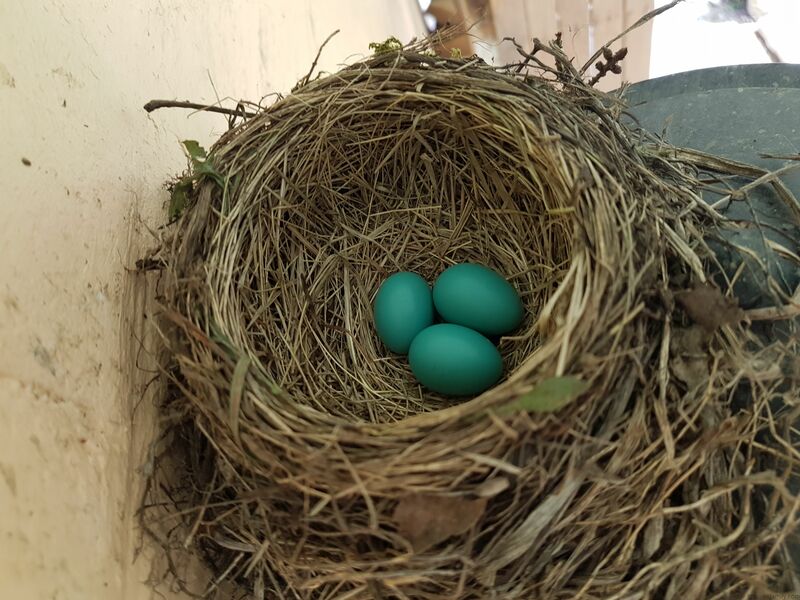 I snapped a quick picture of the nest to see how they are doing. 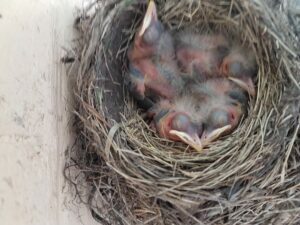 All four still there and, to my eye, threatening to outgrow the nest in short order! 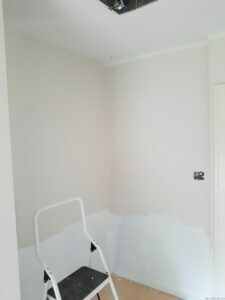 Last night I put the primer on the walls. Though it is a bit messy, I find painting incredibly rewarding. 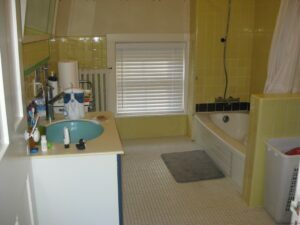 There is really nothing else that one can do in renovating that makes such an immediate positive change. That being said, there is also something vaguely disturbing about the primer coat. When you are putting it on, you see all the splotches and visible inconsistencies of raw drywall seem to disappear. 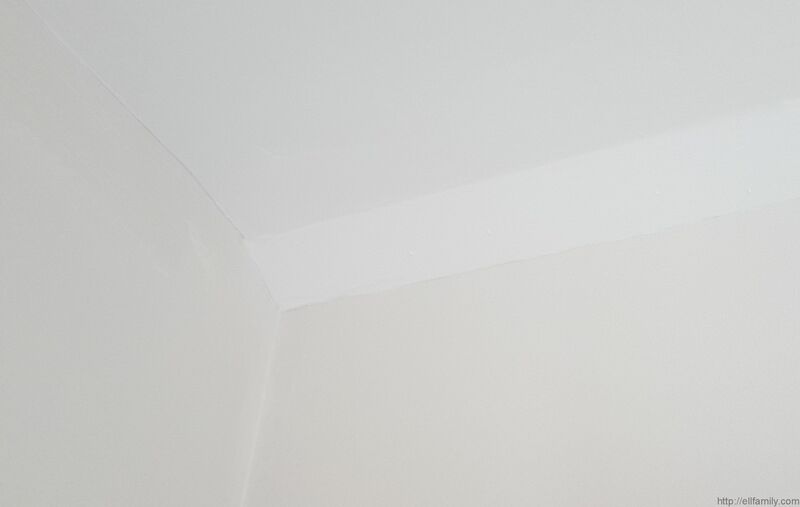 However, when you come back and look at it a little while later, the limited pigment in primer means that you still have ghosts of those inconsistencies showing through demanding a coat of actual paint to cover them. 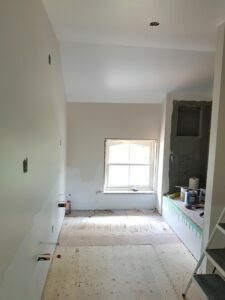 Its like your brain adjusts and your sense of the job quality becomes much more acute once the glaring difference between the drywall and raw mud is even partially covered by the primer. I’m sure someone has studied and named this phenomenon – I wonder what it’s called. Next stop the paint store. 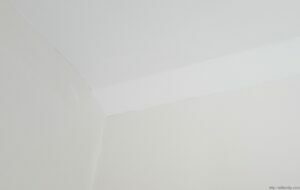 First a can of ceiling paint for bathrooms. 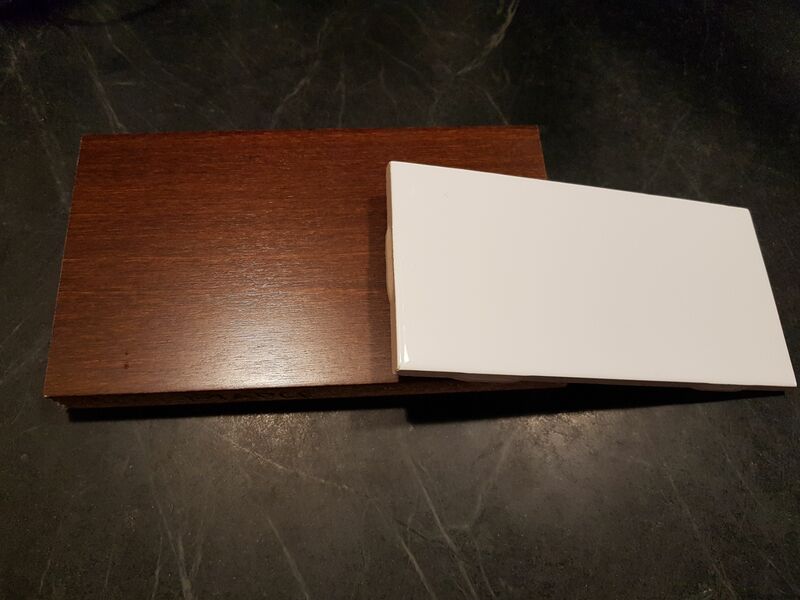 Then I need to find a colour that we can all agree on for the walls that works with the tile and woodwork that will be in the bathroom. 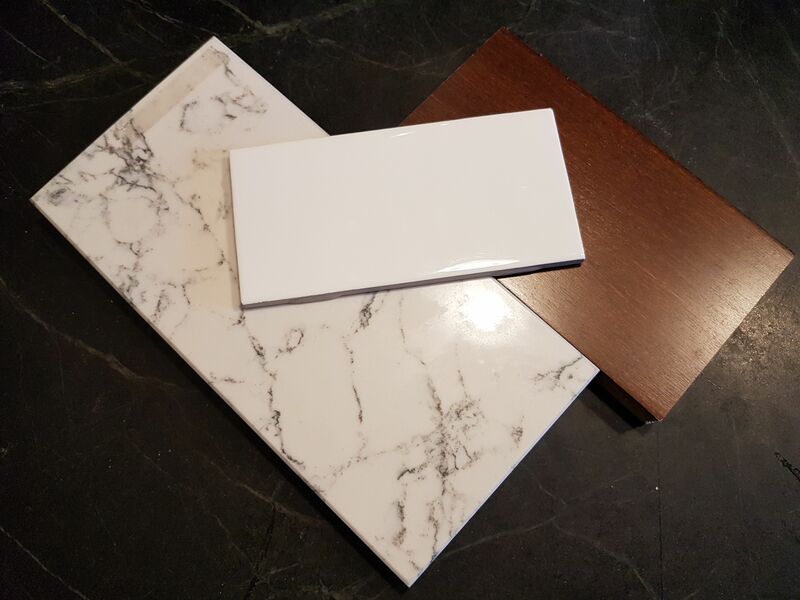 I don’t have a sample of it on hand, but the counter will be a synthetic marble with grey veins on a white field – fixtures are all chrome. It will be interested to see what works. 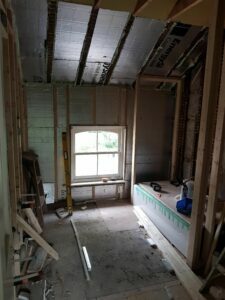 Part 3 of the renovation can be found here. 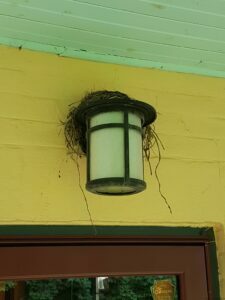 In what is becoming an annual event, robins have set up a nursery in a nest over our back door light. I’ve been following the development of the family since it started – chronologically shown below. 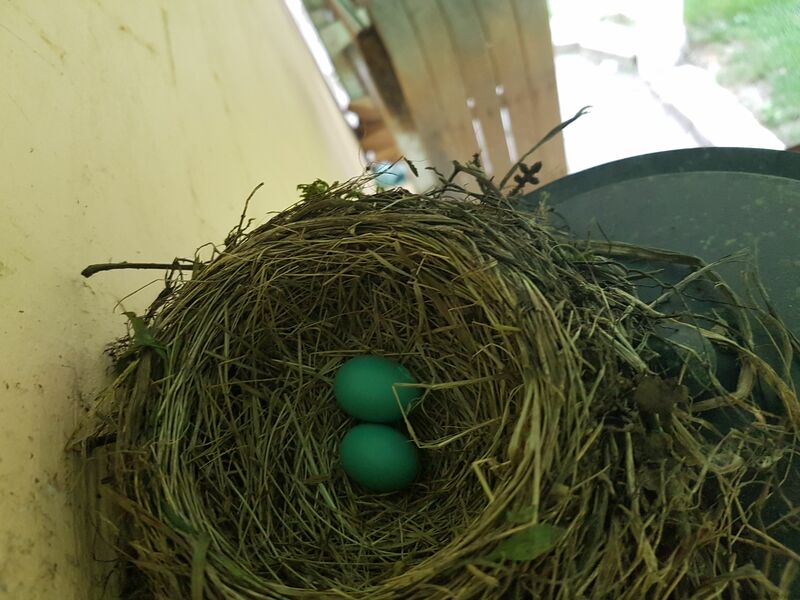 Note that the eggs showed up one at a time a day apart each though I didn’t catch a photo of them until mamma robin had already laid two. Not sure if the last photo is a function of perspective or if there really was that much disparity in egg size. Seems the largest egg is almost twice the size of the smaller one – if accurate, it is more variation than I would have expected. 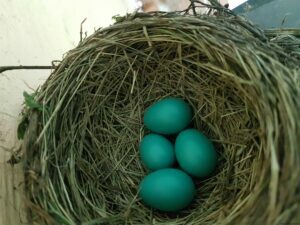 After that, things got quiet and I even started to suspect that the eggs might not be viable as it seems the mother wasn’t around brooding them. 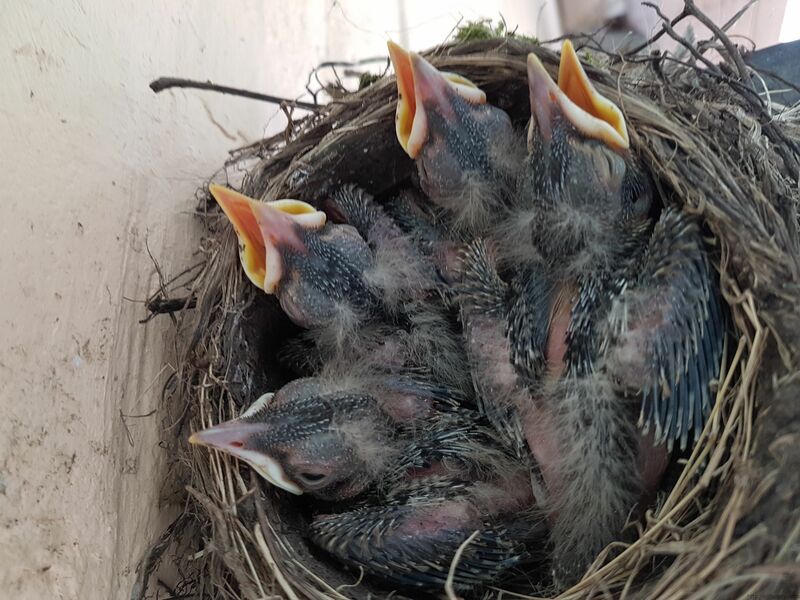 To be sure, I stuck the camera up top once more to find that all four had hatched. They’re not very loud right now but based on past years, I’m assuming that we’ll be hearing the constant cheeping starting soon. 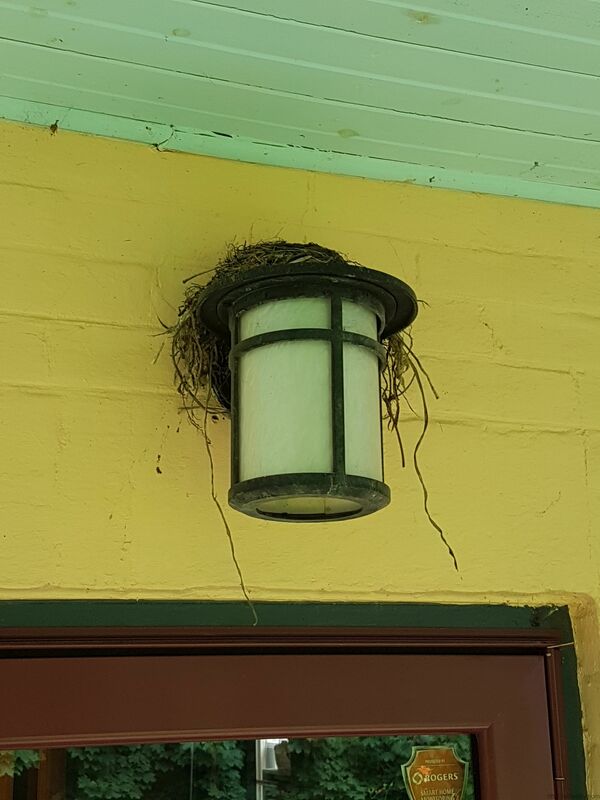 Meanwhile, mother robin is on the prowl and dive bombs Ralphie any time he is in the back yard. I’ll try and catch a video of it – kinda funny as he can’t seem to figure out why she is so upset. 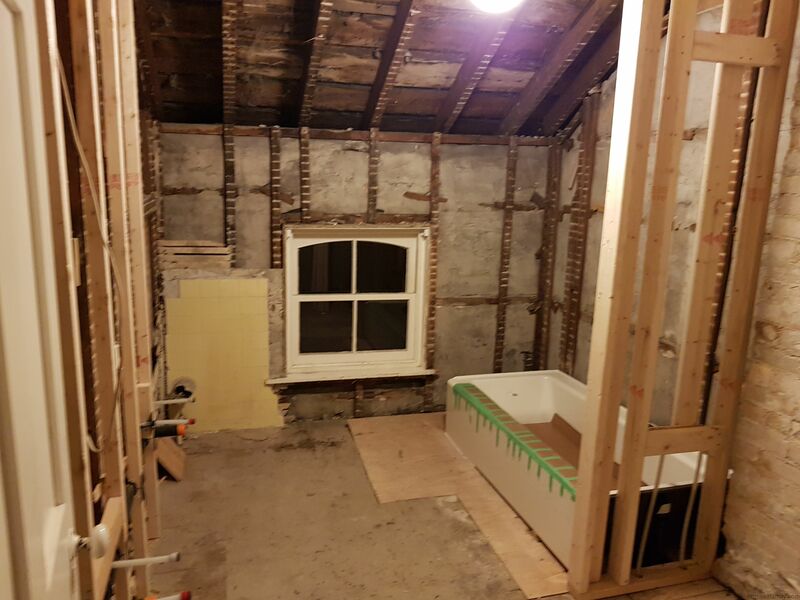 Well we finally got the girl’s bathroom renovation up and going – something that was a long time coming and absolutely needed but had to wait a few years after purchasing the house until we could afford it. 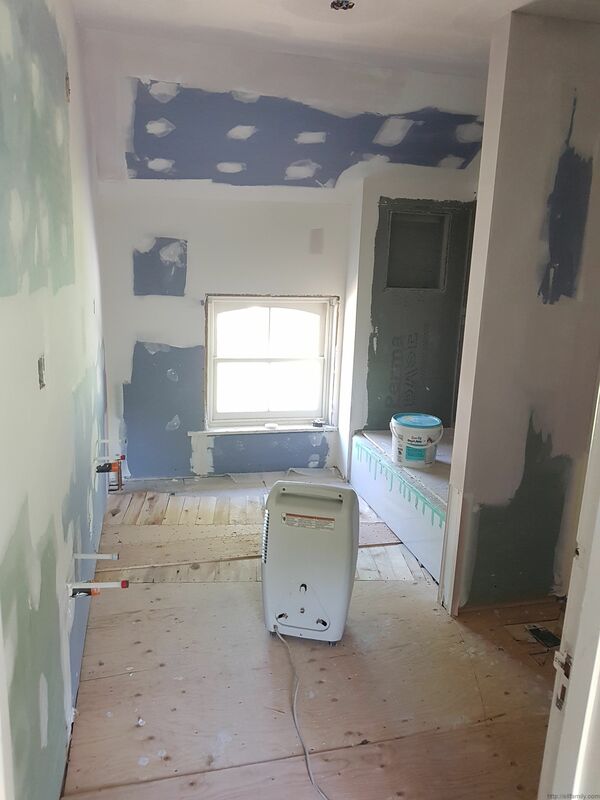 I thought I’d capture the renovation process here but am starting late by a few weeks. As such, this first post will be a bit long to catch up. The rest should be considerably more reasonable. For those of you that aren’t aware, we live in a Victorian Italianate that was built in 1886. The previous owners had a lot of the underlying mechanicals such as electrical panel/wiring, plumbing, and boiler done as well as a number of cosmetics. The work that they had done by professionals is exemplary – the work that they attempted themselves leaves something to be desired. As a result we have a combination of both work that was never gotten to and needs doing as well as jobs that were done, but poorly, and need to be reworked. Chief among the jobs that were never done is the renovation of the girl’s bathroom – a pearlescent yellow tile monstrosity, likely from the forty’s, that was both in rough shape and not representative of the stately Victorian ideals of the house. 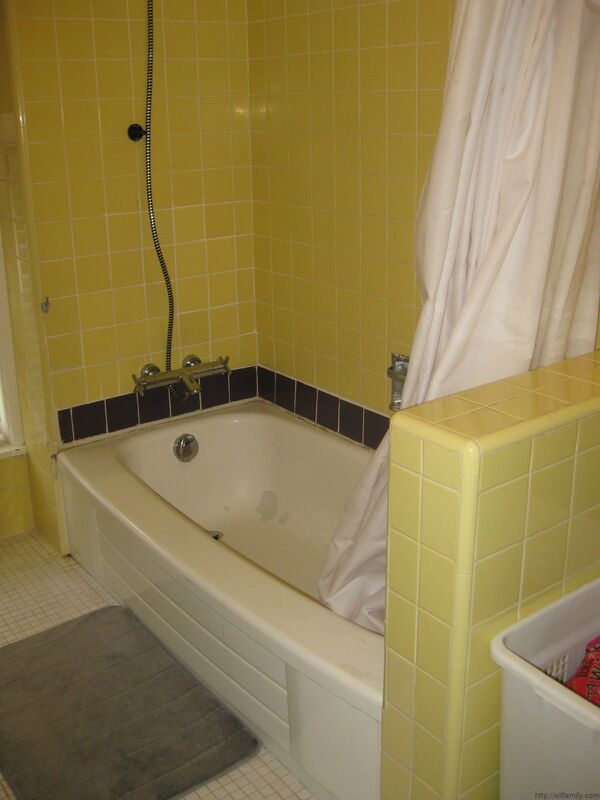 It also gave us a chance to flip the tub around and get the shower head up to a reasonable height for adults. You can see “before” photos of it below. Notice that the tub was resurfaced sometime in the past – that was now peeling off in numerous places. 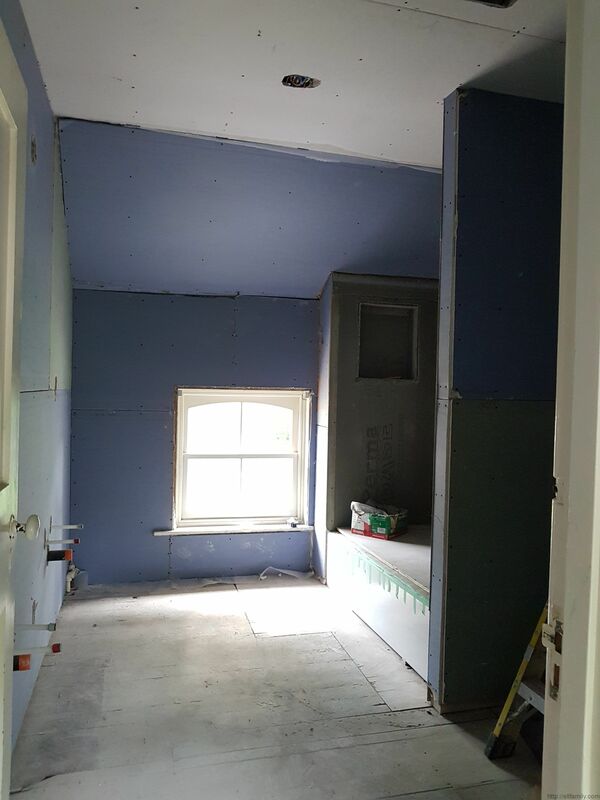 The first step, as expected, was the demo – right down to the studs. I was actually out of town while the demo was going on so didn’t manage to get a picture until after they had started framing the shower alcove and putting in the new tub. 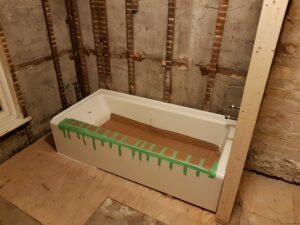 For those who are interested, the tub is a cast iron Kohler Bellweather that replaces the old peeling standard steel tub. I’ve always loved cast iron tubes, not just for the way they hold heat, but also the fact that they don’t flex or bounce at all – really says “quality” to me. On the other hand, they are deadly heavy. The plumber doing the installation mentioned (jokingly) that we must hate old plumbers! Clearly he’s done this before though as he brought along a pair of good sized younger guys to do the job of wrestling the tub into place. If you notice, while the tub is level, there is a significant gap to the right side with the floor. Here is where 130+ years of age in the house make themselves known in the sagging floors and crazy angles. More on that later. Back to the demo. 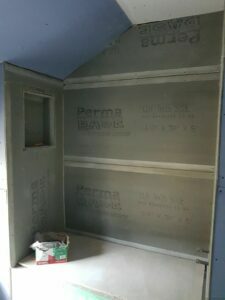 As you can see above, and not unexpectedly, there isn’t a whiff of insulation in either the wall or the sloped ceiling. 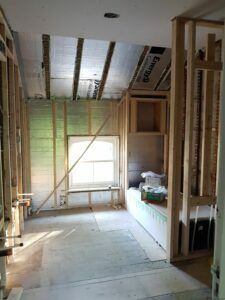 Along with the rough plumbing and electrical, insulation was put in place in both walls and the sloped ceiling. You can see that we have some space at the end of the tub where a niche will be put in to hold shampoo and the like. It is framed in more completely below. 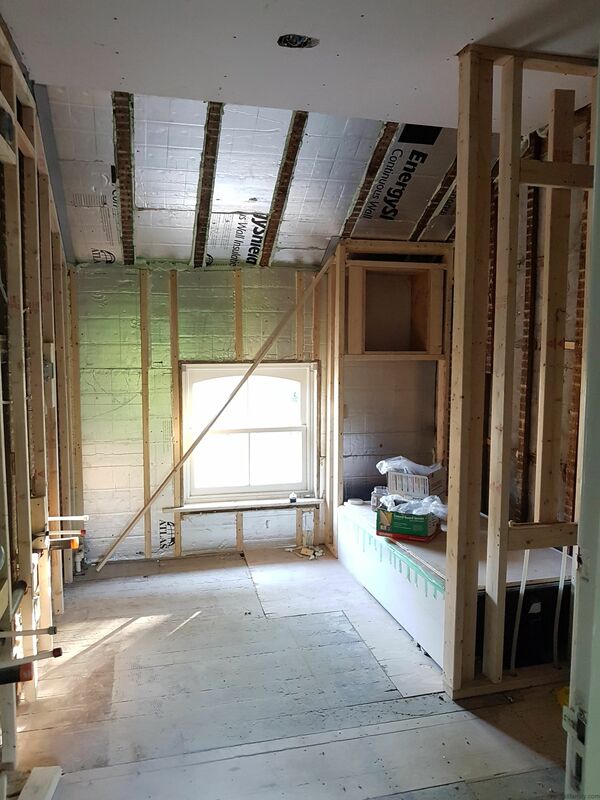 Next was the drywall with cement board in the shower alcove. On to the mudding. This is never my favorite part as the dust is crazy but has to be done. Here is how it looks now. 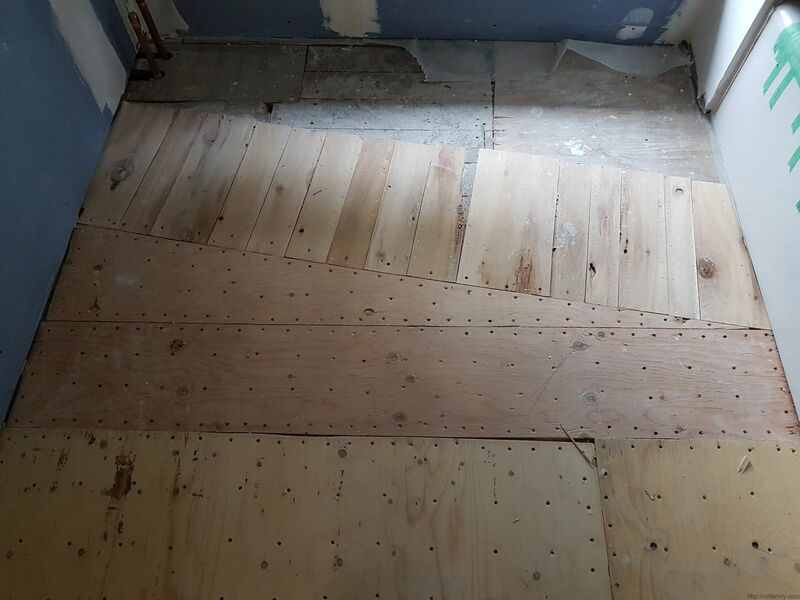 Remember that I mentioned how wonky our floors are? Well we were out by about 1 1/8″ over the width of the floor. 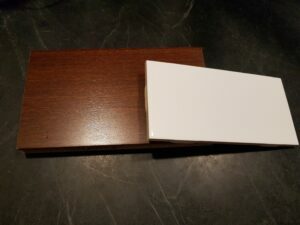 This is a significant issue seeing as we are putting white subway tile part way up the wall running around the perimeter of the room. Trying to make everything match in the corners would be a nightmare with the floor that far out. That’s it for the moment, I’m on to painting next. 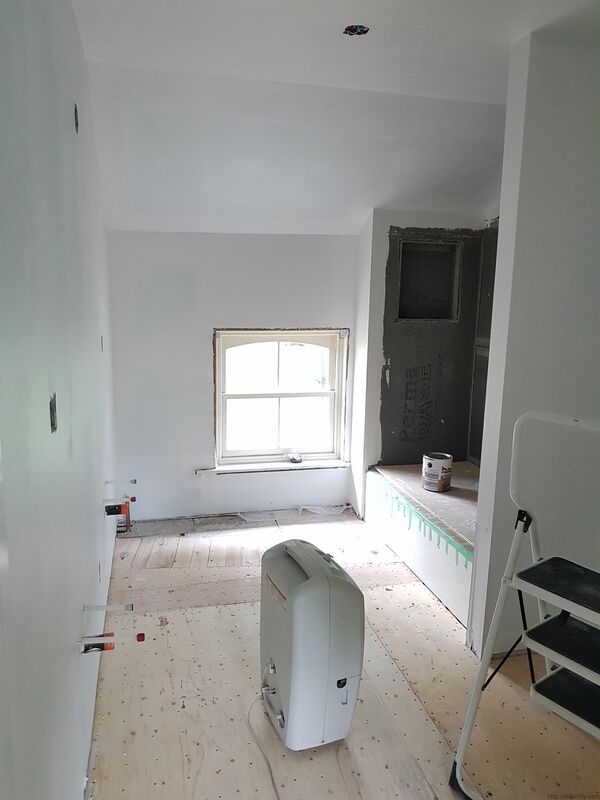 We’re handling the painting ourselves to try and keep some sort of control on the costs of the reno. I need to get primer on the walls in preparation for the tile guys showing up next week. We may even attempt to get the first coat of paint on the upper walls though we have yet to decide on a colour. Heidi is leaning to ivory at the moment, I’m not sure. I’m going to take a sample of the tile and the wood for the cabinets over to the paint store and see what options I can come up with. Stay tuned, I’ll update the build as it goes along. 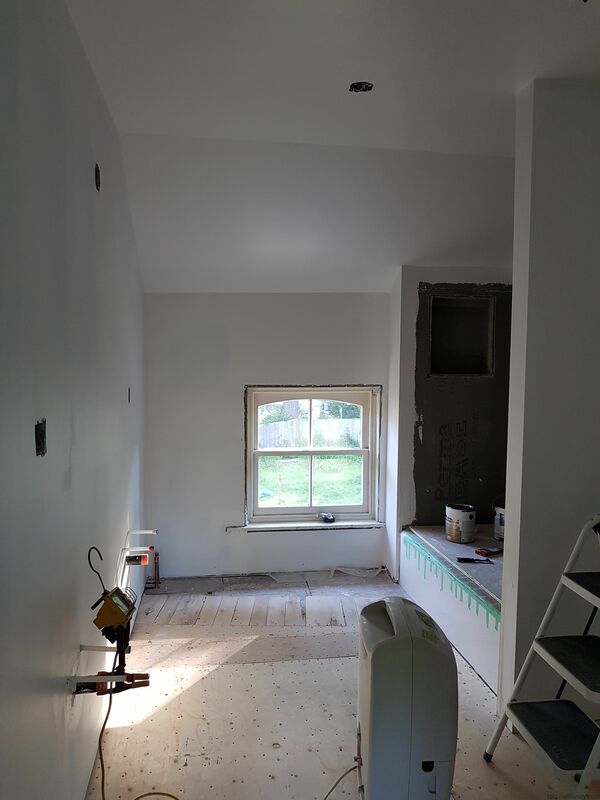 Part 2 of the renovation can be found here. 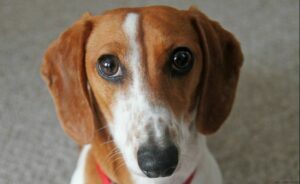 We’re a family of 5 (6 if you count the dog) living in beautiful Waterloo, Ontario, Canada. In addition to my wife and I, there are our 3 wonderful daughters and a cute little brown and white piebald dachshund named Ralphie whose pictures feature prominently here. After many fits and starts, we’ve finally got a web site to go along with the domain name that we set up a couple of years ago. There is no particular theme to the site, just a bunch of random content that the various members of the family have put together. To get started, we’ve put up a bunch of pictures of some of the birthday cakes and gingerbread houses that we’ve made over the years. We’ll add other stuff as we think about it.